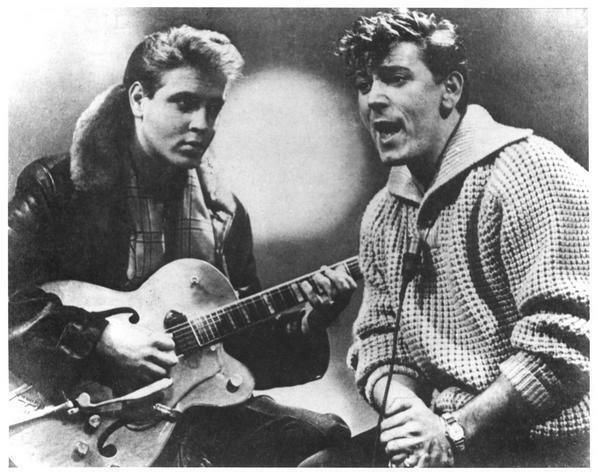 Eddie Cochran & Gene Vincent. . Wallpaper and background images in the Rock'n'Roll Remembered club tagged: eddie cochran gene vincent posters rock n roll legends. This Rock'n'Roll Remembered photo contains गिटारवादक, गिटार खिलाड़ी, and गिटार प्लेयर. There might also be संगीत कार्यक्रम.